January is half over! Where did the time go? The sun is shining and it’s almost 60 degrees F here. MV Desert Venture just sparkles these days. She’s clean as a button – inside and out. Walk aboard and she smells sweet! No really – there’s no funky boat odors here. The Seattle Boat Show is going full force this week and next. MV Desert Venture is featured with Cap Sante Yachts. We’re excited! DV is ready for new cruisers. Man, is she ready and raring to get underway. In fact, we’re going to take her out for a little voyage on Monday. DV is going to love that! I don’t think I showed you the latest update on the boat. 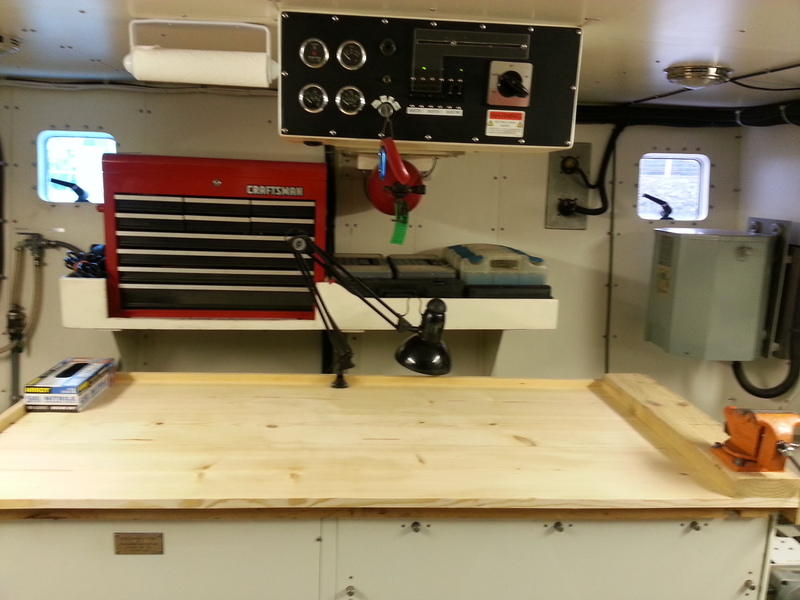 Look at the fresh new workbench. It’s ready for new projects. 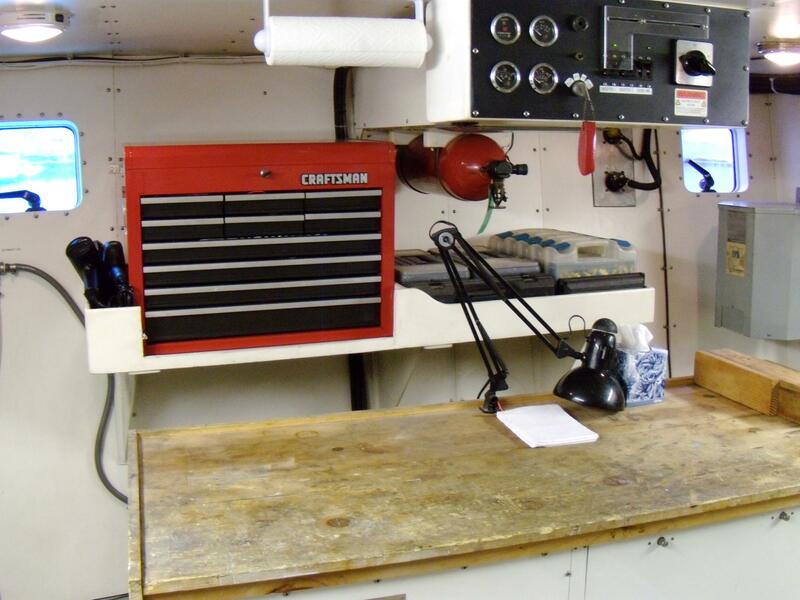 Call me sentimental, but I did love the old workbench. It told the story of our years aboard and all the time and effort that went in to make Desert Venture the loved and lovely yacht she is today. But, it’s out with the old and in with the new! She is a blank slate today! I wonder who will make the first memories – I mean dents and dings – on the bench? Whoever they are – they are going to be thrilled! Meanwhile MV Desert Venture awaits new owners!